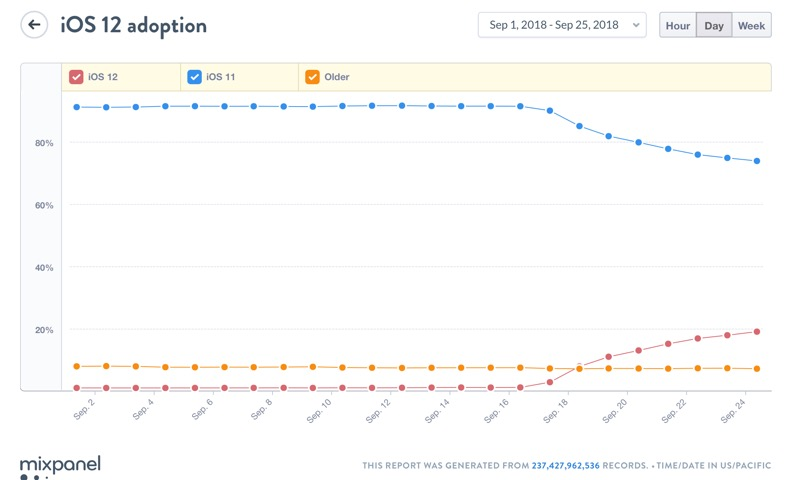 The adoption of iOS 12 is being monitored by mixpanel and it has just become the predominant iOS version. Rather slower uptake than iOS11 but it looks like there is a clean transition from iOS11 to iOS12. 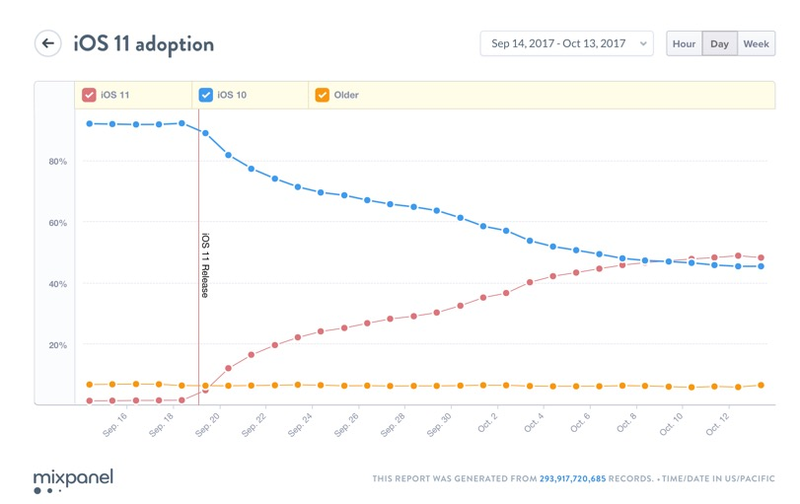 The adoption of iOS is being monitored by mixpanel and it currently stands at around 20%. Rather slower uptake than iOS11 but it looks like there is a clean transition from iOS11 to iOS12. 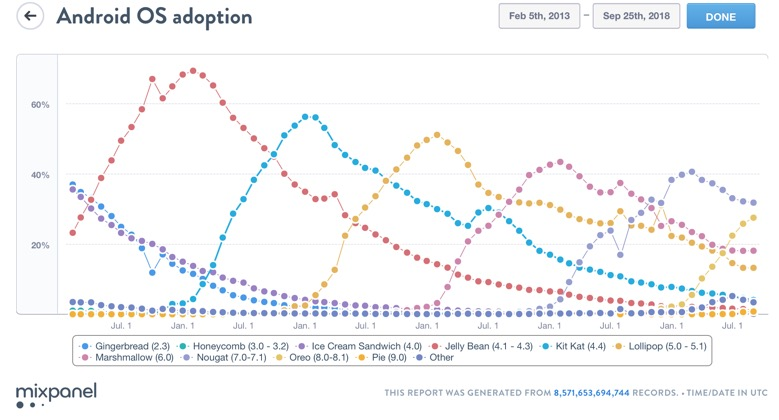 The comparison with Android OS adoption is interesting. I've just added MestReNova to the mobile science site. 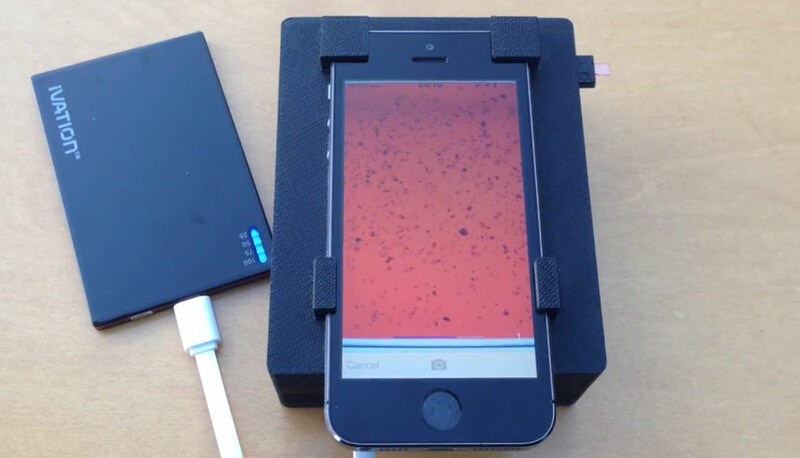 There are an increasing number of spectroscopy apps available. 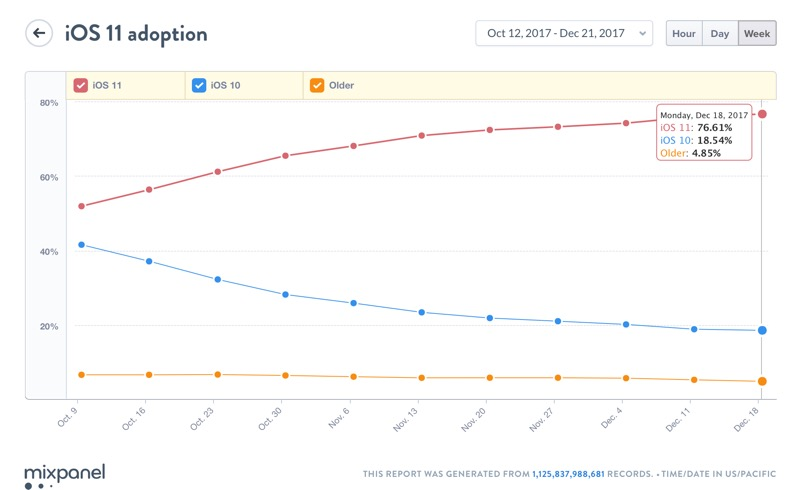 Looking at the adoption of iOS11 on Mixpanel it is now over 76% with older versions of iOS disappearing. It will be interesting to see if there are a flurry of Christmas iPhone upgrades. For all you iOS app developers, here are the iOS Human Interface Guidelines a set of guidelines and resources that should help developers build high quality, intuitive and consistent apps. 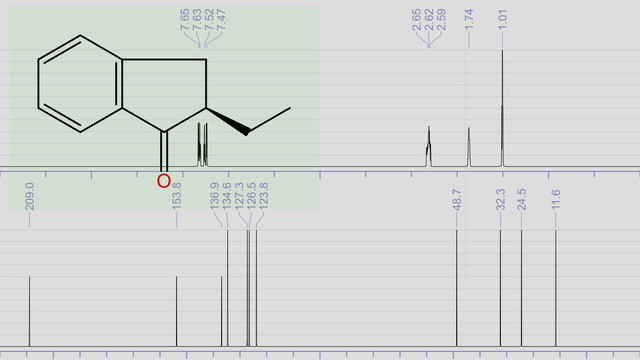 The Medicinal Chemistry Toolkit has been updated. What's New in Version 2.1. 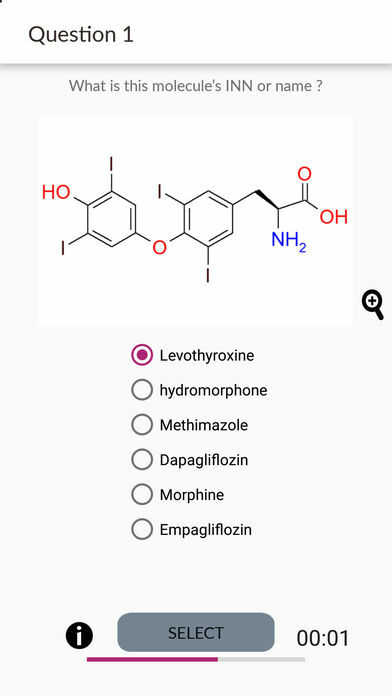 Along with bug fixes, the drug -drug interaction app is updated so fraction metabolised by CYP, fmCYP, and fraction extracted by gut, fgut, can be input if these values are known. 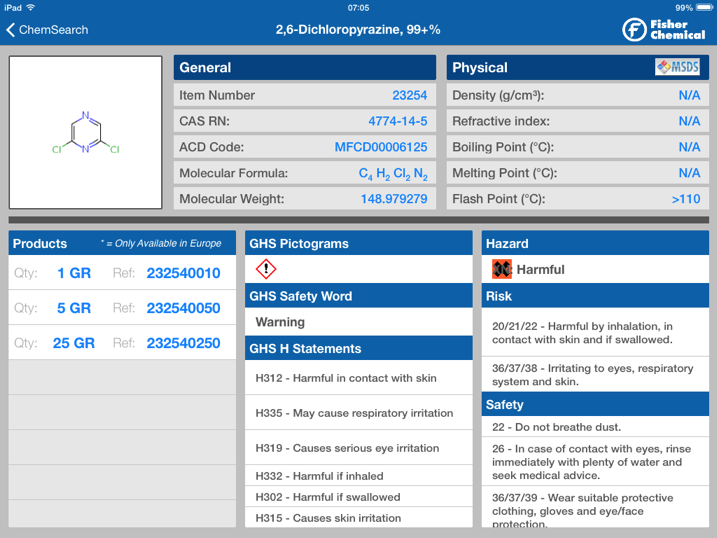 The Medicinal Chemistry Toolkit app is a suite of resources to support the day to day work of a medicinal chemist. Based on the experiences of medicinal chemistry experts, these otherwise difficult-to-access tools were developed in a portable format for use in meetings, on the move and in the lab. 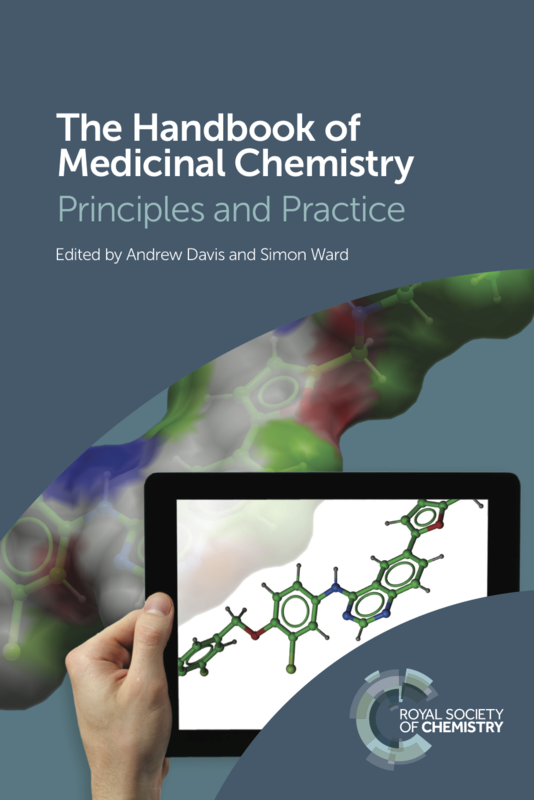 There is a review of the the Medicinal Chemistry Toolkit here. With the release of iOS 10 comes an update to Xcode. Xcode 8.0 is a free download for OS X 10.11 or later. (An Apple ID is required for iOS development, and App Store submissions require registration in the Apple Developer Program.) The latest version brings Swift 3 and SDKs for iOS 10, watchOS 3, tvOS 10, macOS Sierra, Siri extensions, iMessage apps, and sticker packs for Messages, along with many other changes. Xcode 8 includes everything you need to create amazing apps for iPhone, iPad, Mac, Apple Watch, and Apple TV. This radically faster version of the IDE features new editor extensions that you can use to completely customize your coding experience. New runtime issues alert you to hidden bugs by pointing out memory leaks, and a new Memory Debugger dives deep into your object graph. Swift 3 includes more natural and consistent API naming, which you can experiment with in the new Swift Playgrounds app for iPad. Swift 3 is the first major release of the innovative programming language built completely in the open with the community of developers at Swift.org. This release unifies core API naming rules under a new public API Naming Guidelines document that makes writing Swift code feel even more natural. Popular system APIs such as Core Graphics and Grand Central Dispatch are more expressive and harmonize well with Swift. Perfect is an application server for Linux or OS X which provides a framework for developing web and other REST services in the Swift programming language. Its primary focus is on facilitating mobile apps which require backend server software, enabling you to use one language for both front and back ends. Just looking at the speakers at the Mobile Chemistry conference organised by RSC Chemical Information and Computer Applications Group 7 September 2016 10:00-16:30, Cambridge, United Kingdom. 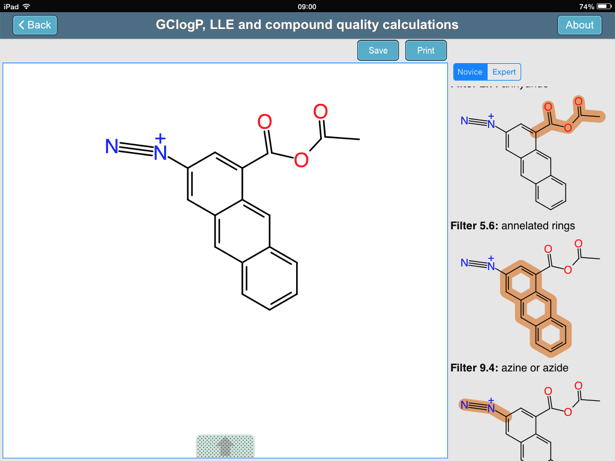 Andy Davies is talking about the RSC Medicinal Chemistry Toolkit app a suite of resources (Chemical Formula, MWt, GCLogP, Ligand Efficiency, Ligand Lipophilic Efficiency and AZFilters calculations) to support the day to day work of a medicinal chemist. 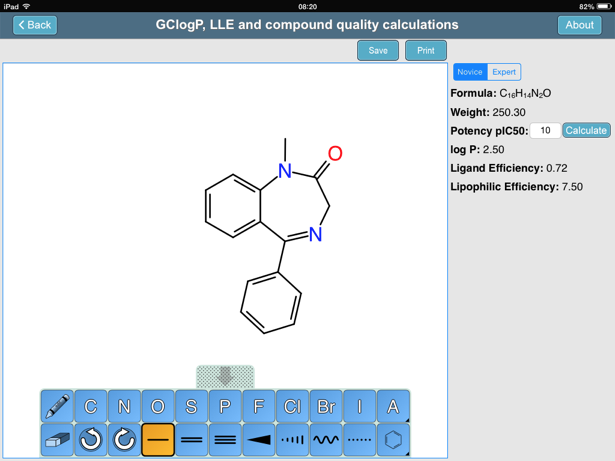 Based on the experiences of medicinal chemistry experts, it was developed otherwise difficult-to-access tools in a portable format for use in meetings, on the move and in the lab. 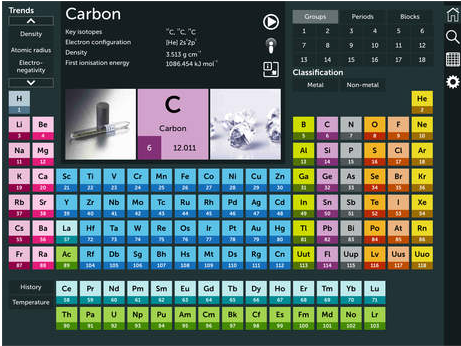 The app was developed in collaboration with Molecular Materials Informatics. 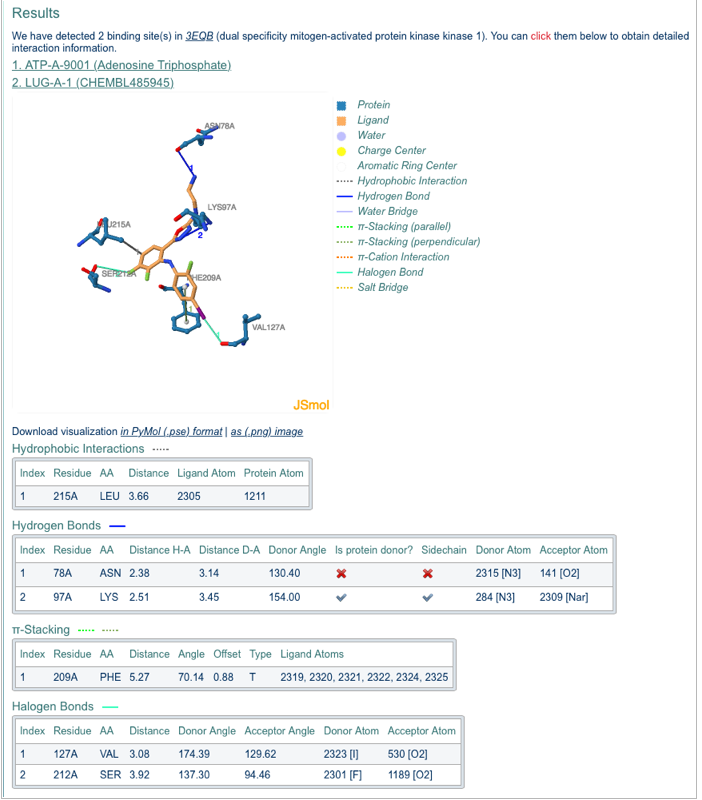 The latest version includes computational structural filters developed by AstraZeneca drug design teams. This looks like an excellent opportunity to hear more about this swiss army knife for medicinal chemists and feedback what new features you might want. This could be a very interesting development. Remember the Star Trek computer? 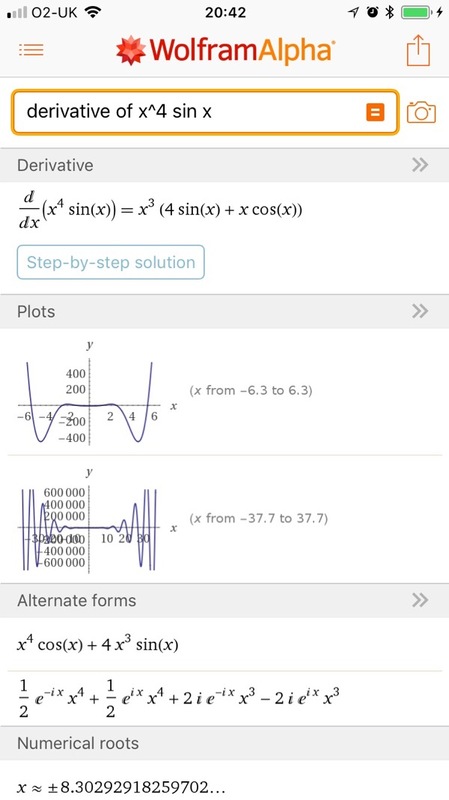 It's finally happening--with Wolfram|Alpha. Building on 25 years of development led by Stephen Wolfram, Wolfram|Alpha has rapidly become the world's definitive source for instant expert knowledge and computation. 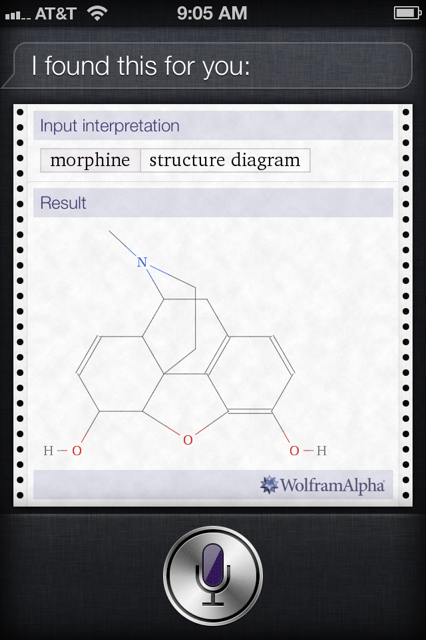 Parts of Wolfram|Alpha are used in the Apple Siri Assistant; this app gives you access to the full power of the Wolfram|Alpha computational knowledge engine. 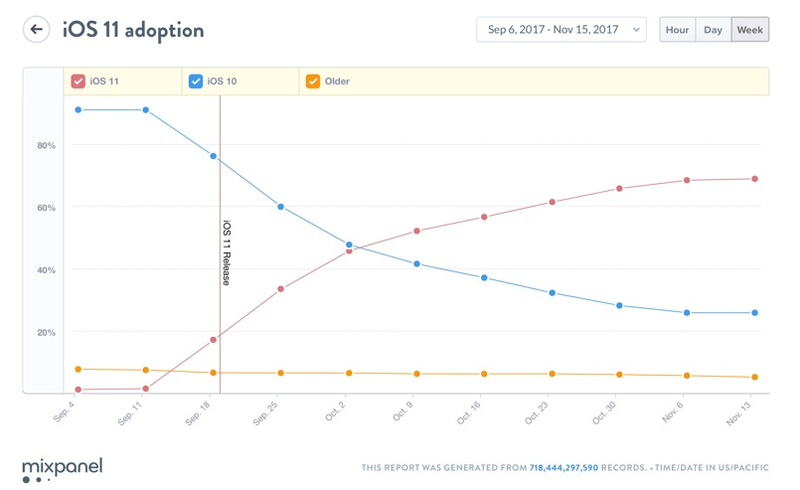 It looks like iOS adoption is running smoothly, now over two thirds of iOS users. 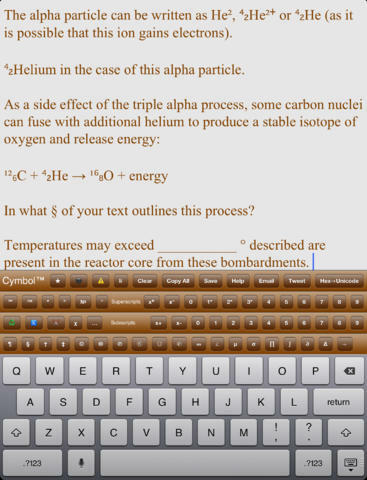 Chemistry Keyboard has been updated. This update includes the addition of a triple bar character and compatibility with iOS9. 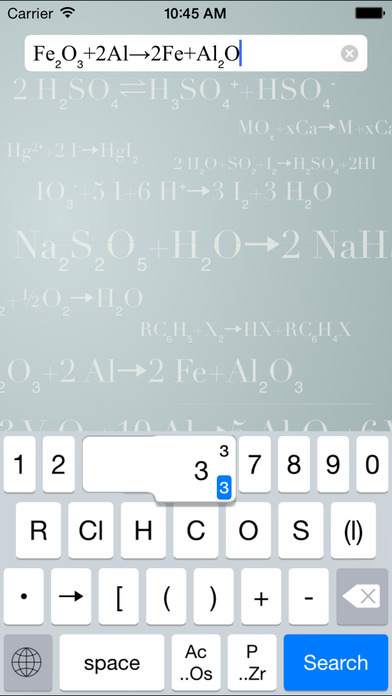 Chemistry Keyboard is a specialised Keyboard Extension for anyone who needs to enter chemical formulae. I've been involved in collaborations to write a couple of papers recently and when I mentioned the trials and tribulations of editing and version control when you have multiple authors someone suggested I look at Overleaf. 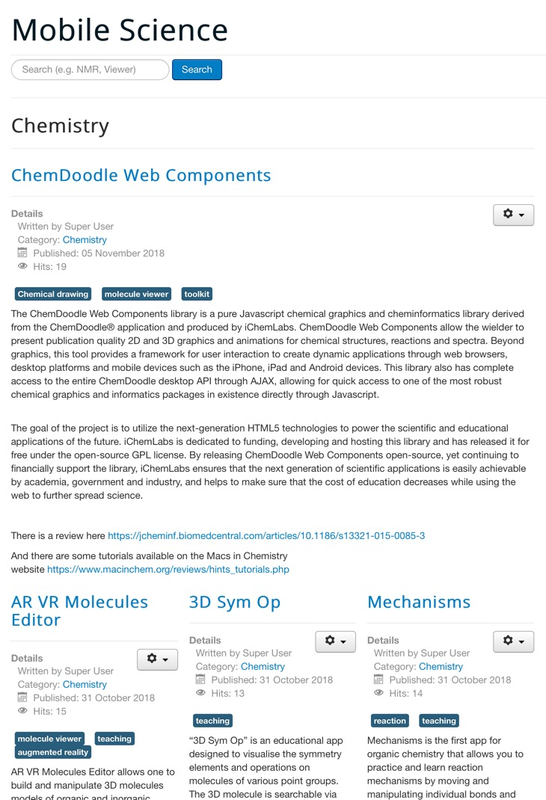 If you are a LaTex user this looks like a very useful option, there are certainly templates for a number of chemistry journals and based on the description on the website it looks like a pretty impressive way for collaborative writing. It looks like they also support iOS. There is a free option which would certainly be sufficient to try it out. The electronic lab notebook Findings for Mac has been updated, this free update includes a new table layout feature, and timers and timestamps. It also includes a couple of bug fixes. The iOS version has also been updated and there is now also a Findings app for the Apple watch. So if you were looking for an excuse to buy a new Apple watch this seems like the ideal reason! There is a review of an earlier version of Findings here. Mobile Science updated in particular I've added a collection of apps for programming as well as adding notes on a number of applications that have been updated. There are now 370 entries in the database and if you know of any that have been missed please add a comment below. 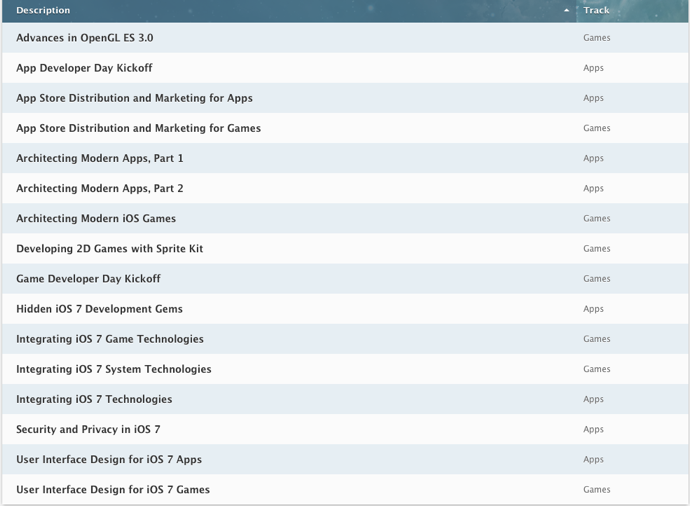 A few applications have been updated over the week or so. 1-click Data Refresh: Suppose you've imported and cleaned your data, perhaps built a few models -- and then your data changes. Now, thanks to the new "Refresh" button in the toolbar, you can instantly update all of your analyses using fresh data from the original source. Customize how columns are matched up with a convenient popover, and feel free to move or rename the source data file on your computer -- Wizard will automatically keep an eye on it. Command-R to refresh the data, Command-E to configure the link. Revamped menu system: Wizard has a new modular architecture that means you'll only see menus relevant to what you're doing -- that is, Raw Data, Pivot, Summary, Model, and Predict each have their own menu now. Most of the menus are more concise, so you can find what you're looking for faster. There is a review of Wizard Pro here. Plot2 a scientific 2D plotting program designed for everyday plotting, it is easy to use, it creates high quality plots, and it allows easy and powerful manipulations and calculations of data. The latest update fives and export bug. MyScript Calculator for iOS, fixes problems with tutorial being played repeatedly and a drag and drop bug. According to this report by McGraw Hill 81% of students are now using mobile devices to study. The rise of studying via mobile isn't simply due to the ubiquity of smartphones and tablets on campus, it's a case of mobile suiting the way students study now. 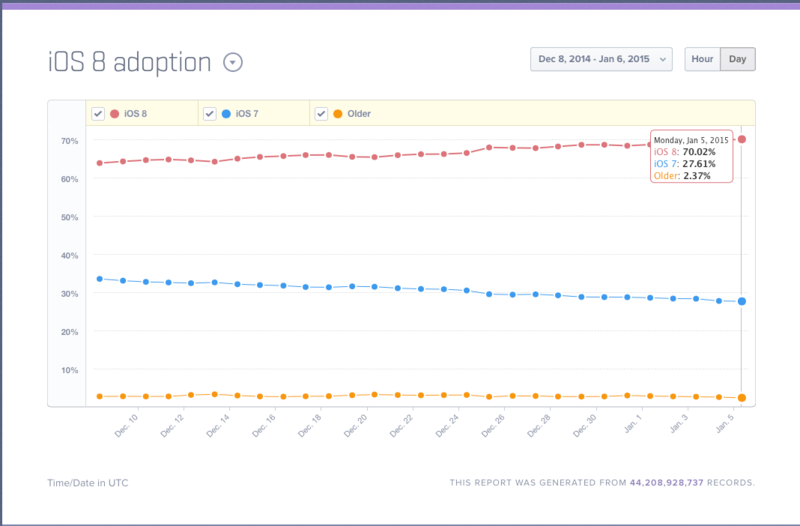 I was just glancing at the chart on Mixpanel and I see that iOS8 is now the major iOS version. With iOS8 and iOS7 comprising over 96% of the market share it certainly makes it easier for developers to maintain compatibility. I’ve had a couple of people mention that they have not updated to iOS8 because they don’t have enough space on their iPhone/iPad, well the good people at MacWorld have released a step by step video that shows how to use iTunes on your Mac to do the update. One feature that may be of particular interest is iCloud Drive, iCloud Drive keeps the concept of application-specific folders for data, but it allows users (and other applications) to see the filesystem and access data stored in multiple app folders. 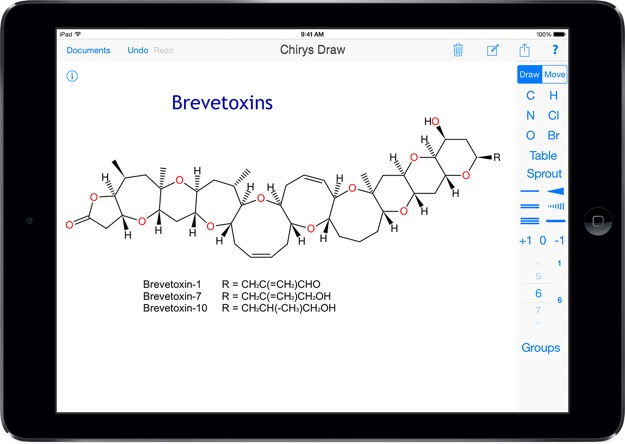 This means that you can open a molecular data file with the applecation of your choice. In iOS 8, you'll be given the opportunity to upgrade from standard iCloud to iCloud Drive once you sign into your account, but you should tread lightly here—converting your account to use iCloud Drive is a one-time deal and it can't be reversed. iOS 8 still supports "Documents & Data" sync, the old-style iCloud syncing method that will continue to work with Mavericks and older iOS versions. If you still use Macs running OS X 10.9 or older or if you have an iPhone you can’t upgrade to iOS8 and you want to sync data between them, don't turn iCloud Drive on. Asteris has been updated. 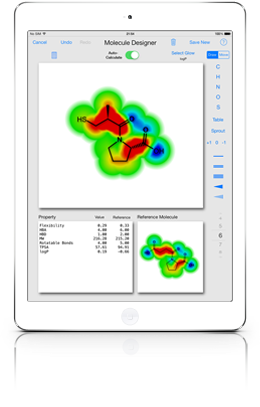 Asteris is an iOS app that arose from a collaboration between Optibrium and Integrated Chemistry Design that allows medicinal chemists to design new molecules on their iPad and then calculate a range of physiochemical and ADME properties. 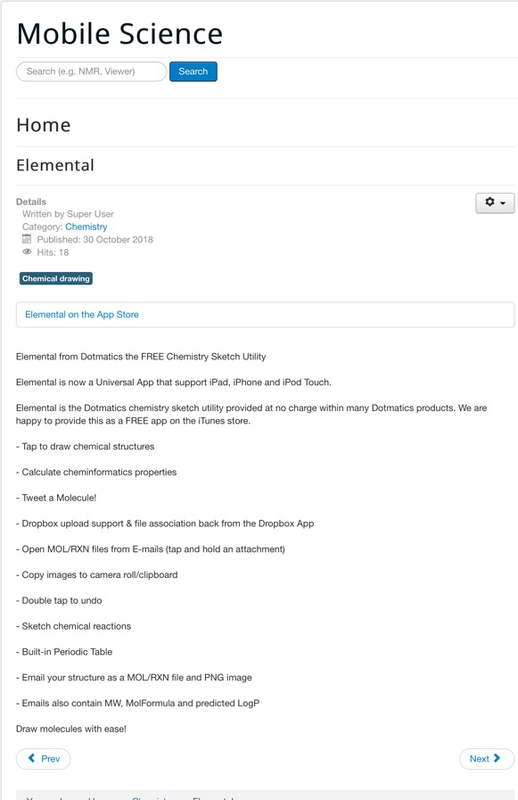 What's New in Version 1.0.2 Add sulfoxide support, using either double bond, or separated charges, Add multiple ring creation with one gesture if atoms are selected. Permit scaling with selected atoms and bonds. Add wavy bonds if Single bond tapped a second time. Add Presentation Mode. I was recently sent a link to an interesting publication. As someone who has known a number of MS patients I was very much aware of the difficulties in accurately assessing the progress of the disease. The MSPT application uses the iPad as a data collection platform to assess balance, walking speed, manual dexterity, visual function, and cognition. It also provides an objective analysis and comparison with a reference population. I was recently sent details of another electronic lab notebook (ELN), Labarchives appears to be a web-based system that supports all major platforms any time you are connected to the Internet. This includes any Windows, Mac, or Linux system using Internet Explorer, Firefox, Chrome, and Safari, as well as on the iPad. The Professional version is priced for academic institutions and non-profits at $99 per user per year (which includes 100 GB of storage per user), representing a 50% discount off of pricing for commercial organisations. Special departmental and site license pricing is also available as well as quantity discounts. LabArchives can also be installed on a local server. 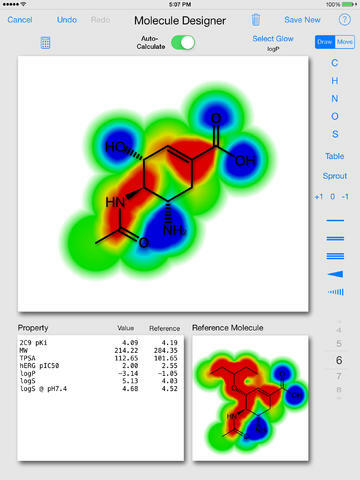 The popular molecule viewer for iOS Chem3D has been updated, the release notes suggest no new functionality just bug fixes. 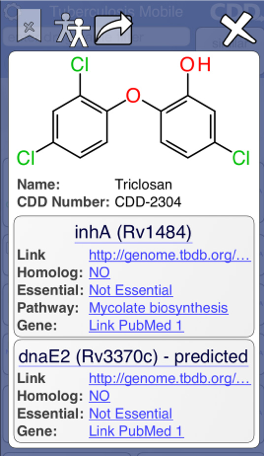 The official mobile app for viewing PDB structures RCSB PDB has been updated to include the April molecule of the month. 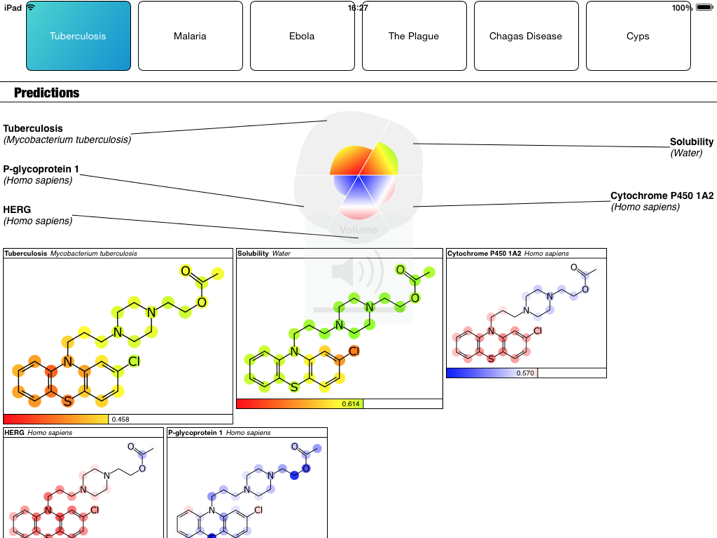 The molecule designer app Asteris has been updated to version 1.0.1 with a number of bug fixes and performance improvements. 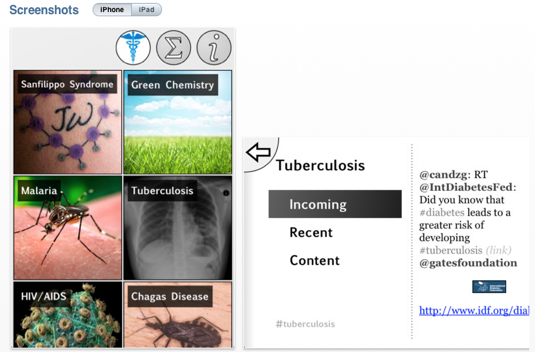 A couple of mobile science applications have been updated recently. 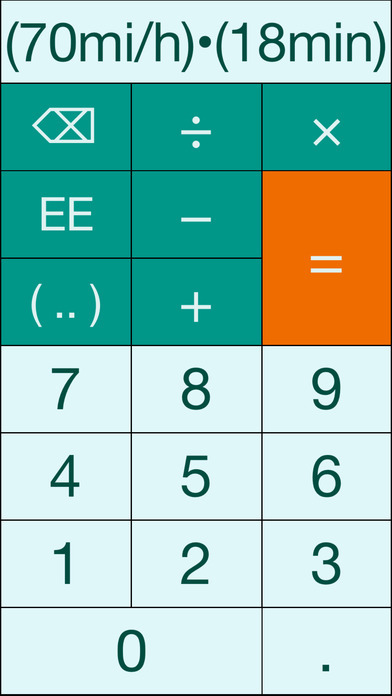 MyScript Calculator has been given an iOS 7 makeover. Write the mathematical expression and MyScript technology will convert symbols and numbers to digital text and delivering the result in real time. SPRESImobile has also been updated, there a number of bug fixes and you can now search by reaction name. 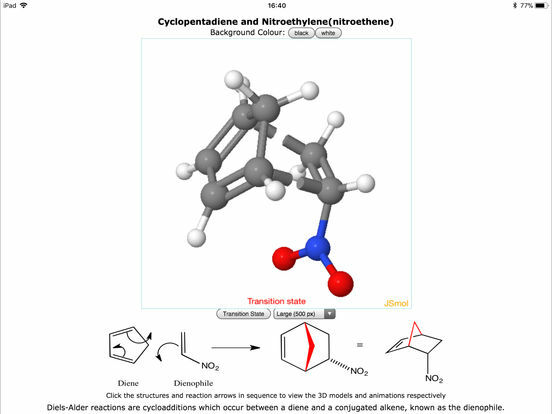 SPRESImobile provides you with a powerful and convenient way to access ChemReact, containing around 410,000 chemical reactions and related references. 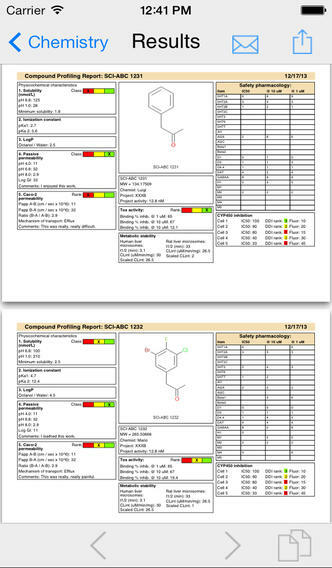 InfoChem created ChemReact for chemists who need information about effective reaction transformations. We achieved this by selecting representative examples of each reaction type from the larger SPRESI data collection of 1974-2009. We are starting to see companies exploit the client server model in bringing ever more sophisticated scientific applications to the iPad. Asteris is a joint development from Optibrium the creators of StarDrop and Integrated Chemistry Design who created Chirys Draw. 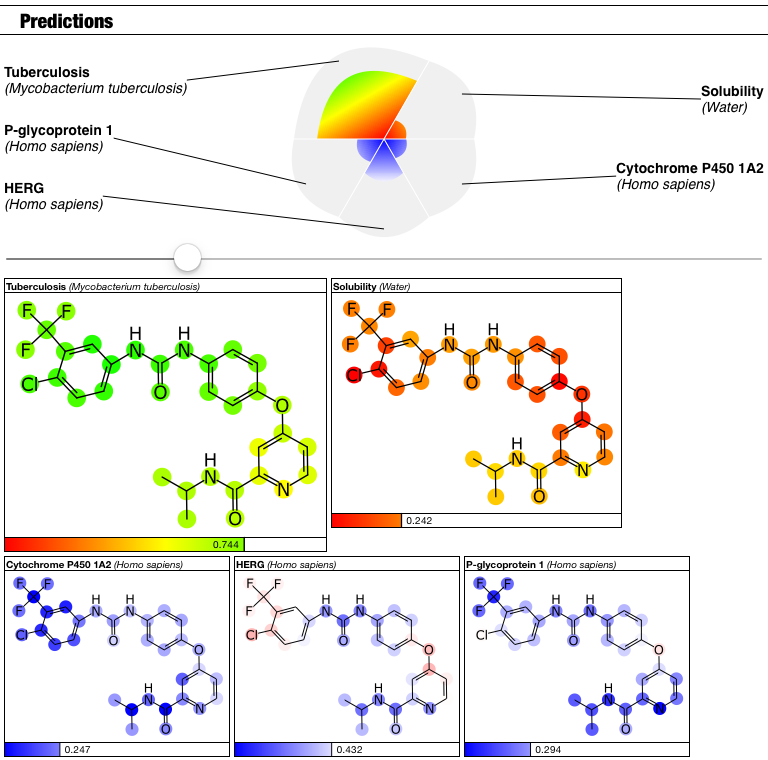 Asteris uses Chirys Draw’s touch interface to design novel molecules and then uses StarDrop’s predictive modeling power, guided by the Glowing Molecule™ visualization, instant feedback dramatically reduces the time it takes you to identify high quality compound designs. 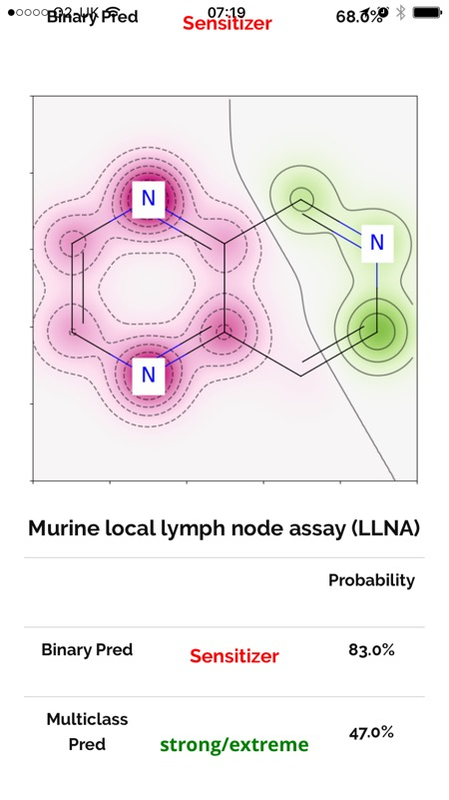 Using Asteris you can calculate a range of simple “core properties”, and ADME properties, including solubility, hERG inhibition and CNS penetration, using rigorously validated models from the StarDrop platform. All of the predictions are calculated using StarDrop ’s ADME QSAR module. You will need to be connected to the internet to perform these calculations using the secure Asteris cloud server.Alternatively, you can run the calculations on your own server with the “Enterprise” edition. All communications with the server uses industry-standard SSL encryption. No compound structures or data are stored on the server. Calculate "core properties" for an unlimited number of molecules for free. Calculate ADME properties for 20 new compounds each month, free of charge. Additional ADME property calculations can be purchased via an in-app purchase. There are demo videos on the support site. Whilst Papers3 remains an extremely popular desktop reference management application Papers3 for iOS has come in for some criticism, in particular poor synchronisation with the desktop and the use of unintelligible file names. The latest version seems to address some of those concerns. Sharing PDFs via email now use human readable file names. Fixes a crash related to syncing. Improved general appearance on iPhone. 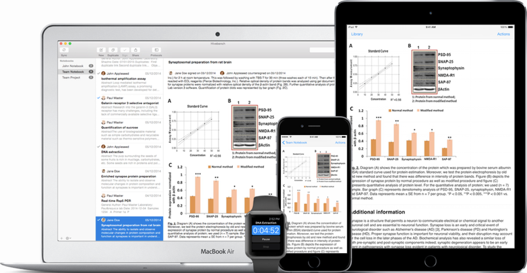 The Mobile Science website contains more science apps for iOS. 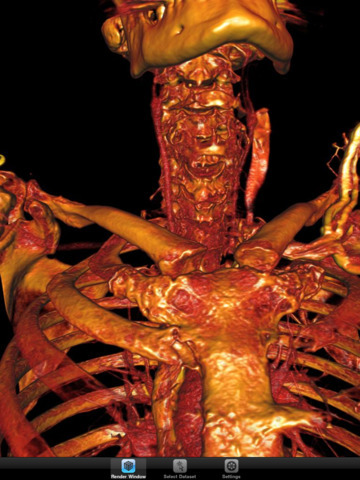 There many more mobile application on the MobileScience website. 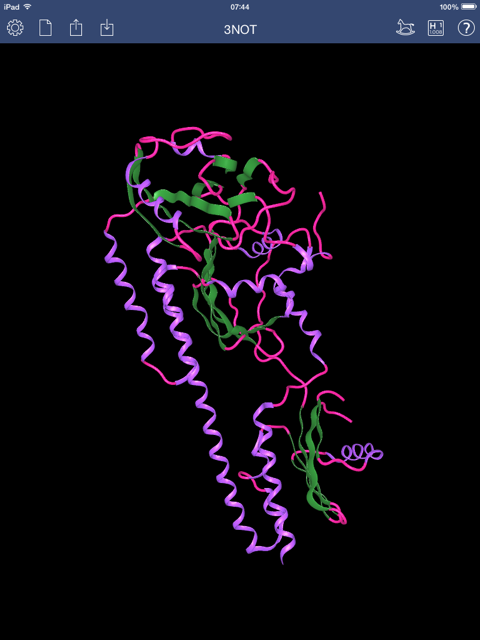 RCSB PDB Mobile has been updated to include molecule of the month. 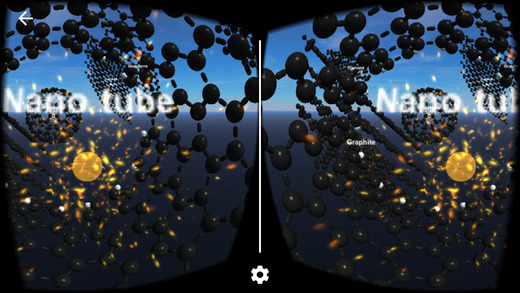 There is a comparison of Molecule Viewers for iOS here. A mysterious substance is discovered in the voids of deep space. 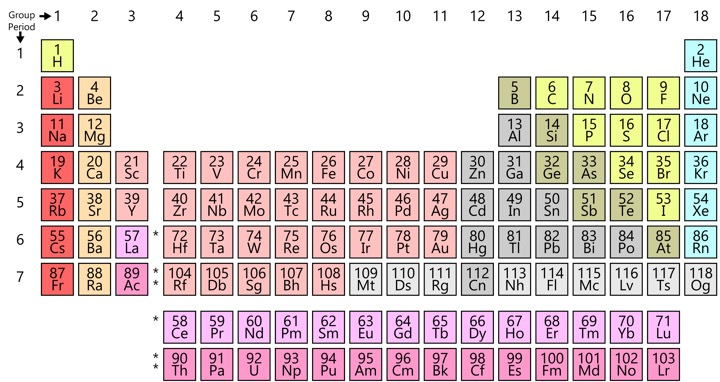 Dubbed Element Alpha, the substance is refined for use in medicine, engineering and construction and soon the Element Alpha industry explodes galaxy wide. As an employee of Bifrost Industries, one of the biggest traders of the substance, your job is to collect as much Element Alpha as you can and trade it for upgrades to your spacecraft to help you manoeuvre the asteroid filled space course. Element Alpha represents genetic cancer data that scientists across the world analyse on a daily basis. 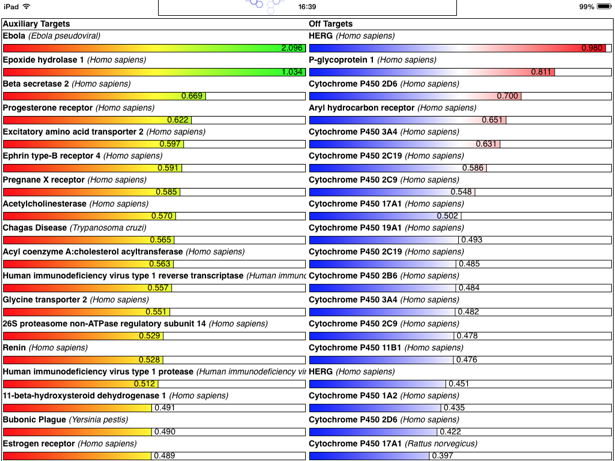 Genes in Space has successfully translated this data into an interactive, asteroid-strewn intergalactic assault course. By collecting Element Alpha and navigating your spaceship through the cosmos you’re finding the significant genetic changes which help scientists to discover cancer causing genes and develop new life saving treatments. So gamers take note. The Genes in Space story may not be real, but the impact of what you’re doing is far from science-fiction. Why not download Play to Cure™: Genes in Space and do your bit. The Wolfram|Alpha iOS app has been updated. This is an essential app whether or not you are a scientist. This update fixes a few bugs and supports iOS7 design. I’ve just added SVGgh from GenerallyHelpfulSoftware to the MobileScience website. 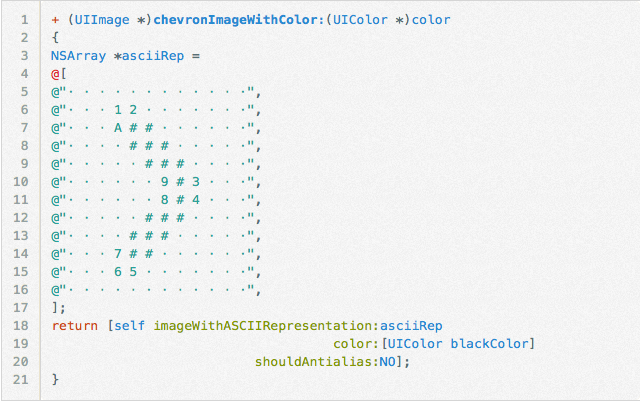 SVGgh is a collection of classes for using SVG as artwork in iOS Apps. Includes a UIView and a button class. 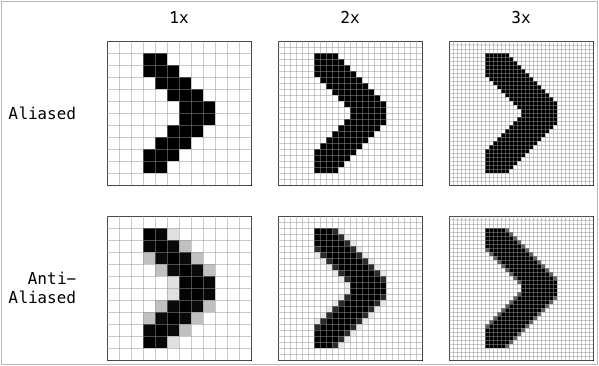 No excuse for using bit mapped images! A while back I was asked to help with an Applescript to help automate the transfer of notes from an iPad to Evernote on the desktop. Since then I’ve kept an eye on the increasing interaction between mobile device and desktop. It is clear that more and more applications now have versions that run on the iPad allowing you to access information on the move. I noticed a recent review of Notebook from Circus Ponies that again emphasises the importance of the iPad version that automatically syncs with the Mac version. I’ve never been on a business trip without my MacBook Pro but I wonder if we are getting close? 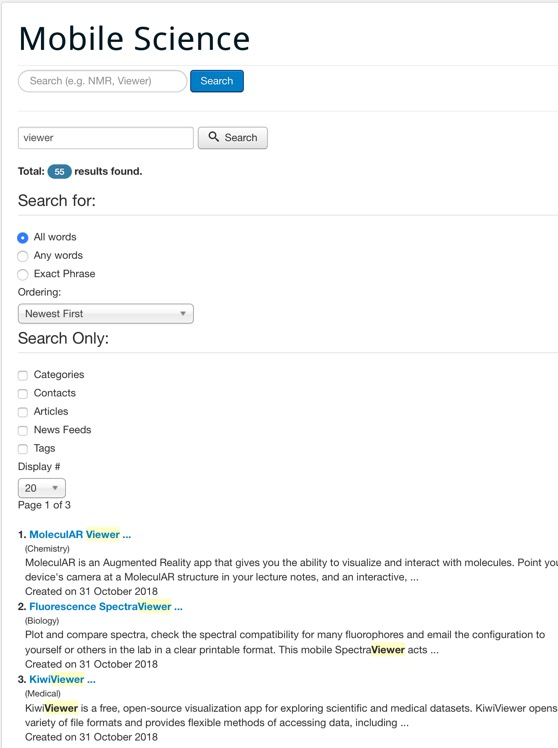 There is an interesting post on Molecular Modeling Basics on the use of Wolfram Alpha to solve chemistry homework problems. I have to say I continue to be impressed by Wolfram Alpha, the breadth and depth of science that is covered is amazing. The iOS7 tech talk videos are now online. Registered Apple Developers can watch full sessions from the iOS 7 Tech Talks to get in-depth guidance on developing for iOS 7. Discover how to create innovative, flexible, and intuitive apps that integrate the latest Apple technologies. A couple of applications from Molecular Materials Informatics, Inc have been updated. Open Drug Discovery Teams is a content management system providing crowd sourced information on a range of tropical and neglected diseases. The ODDT app is free. It can be used anonymously to browse topics. Submission of content requires the user's Twitter account to be enabled and made available to the app. 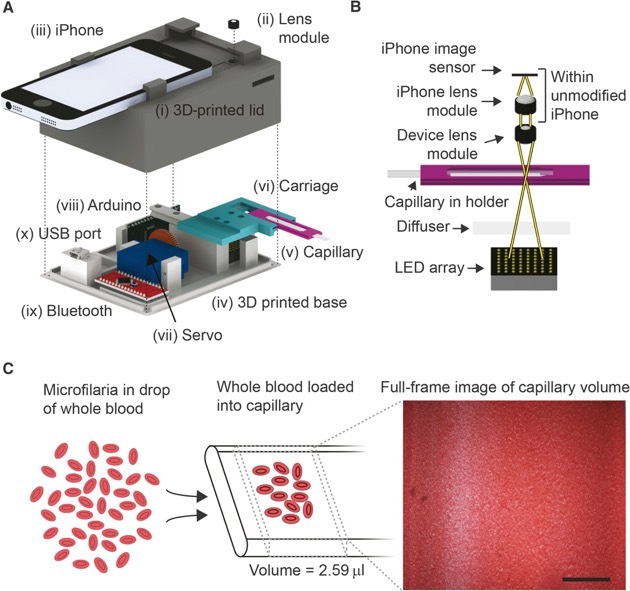 Living Molecules allows specially crafted molecular glyphs to be snapped by the device camera, which direct the app to chemical data: molecules, reactions and collections. This update fixes a bug that could cause the app to crash. 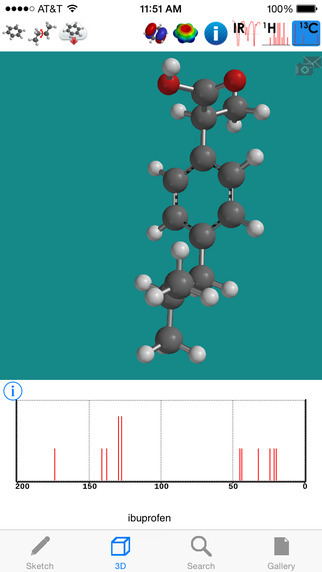 Mobile Molecular DataSheet update includes Sketcher improvements: crayon gestures for adding rings and lines; traversal gesture for growing rings from bonds; and a "band-aid" feature for fixing badly drawn chain bonds. WolframAlpha the world's definitive source for instant expert knowledge and computation. 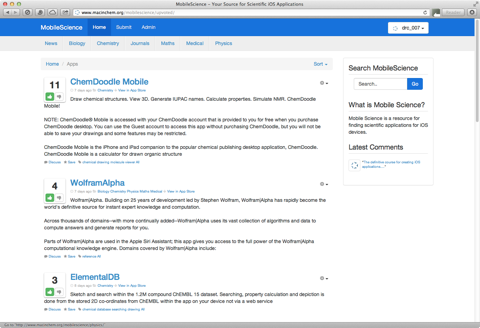 As the MobileScience site expands I’ve started to add other resources in addition to the applications. 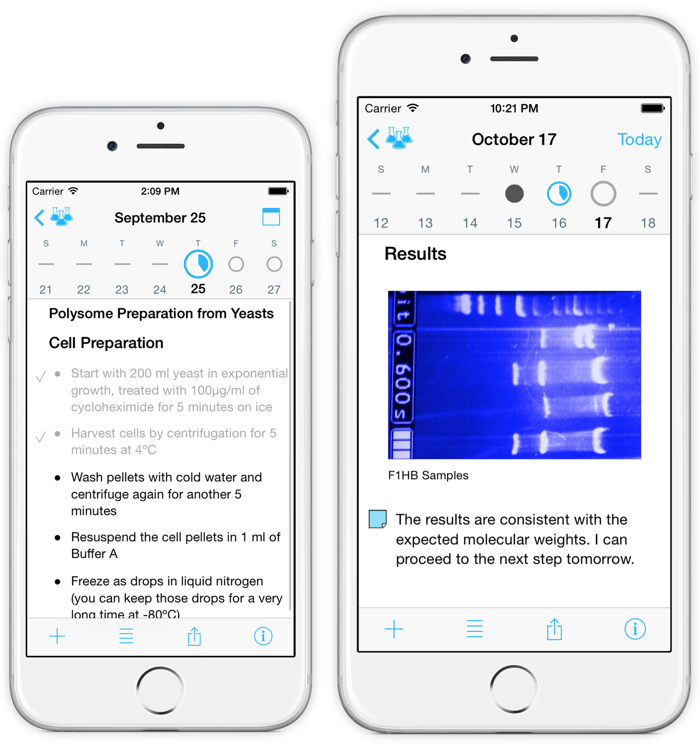 There are now a couple of useful additions for iOS programmers if you are looking for a training course, a plotting library or a chemistry toolkit. I’d be delighted to add any more useful resources. 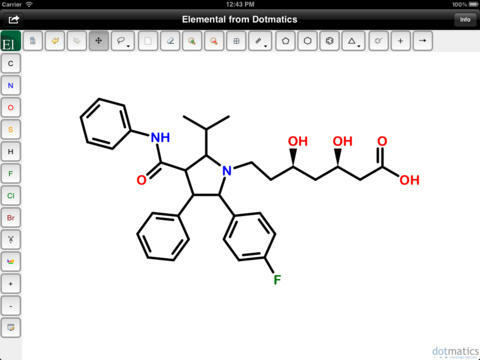 There are updates to both ChemDrawand Chem3D) for iPad. There is little information available about the update to version 2.0 other than “bug fixes” and the apps have been redesigned for iOS7 and now have a minimum requirement for IOS7.0 or later. 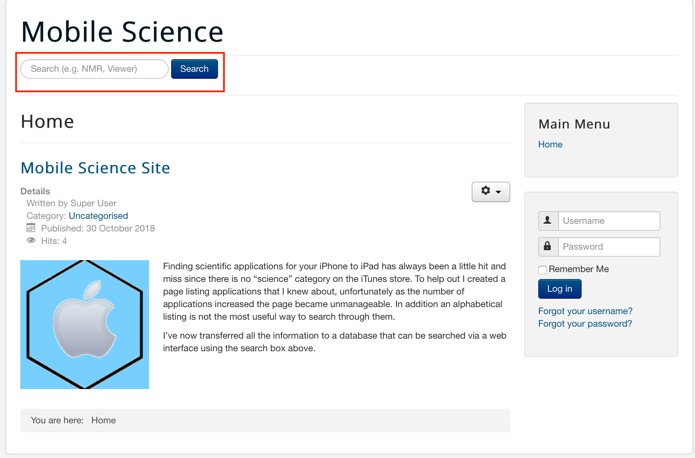 The mobile science page contains a listing of science apes for iOS. 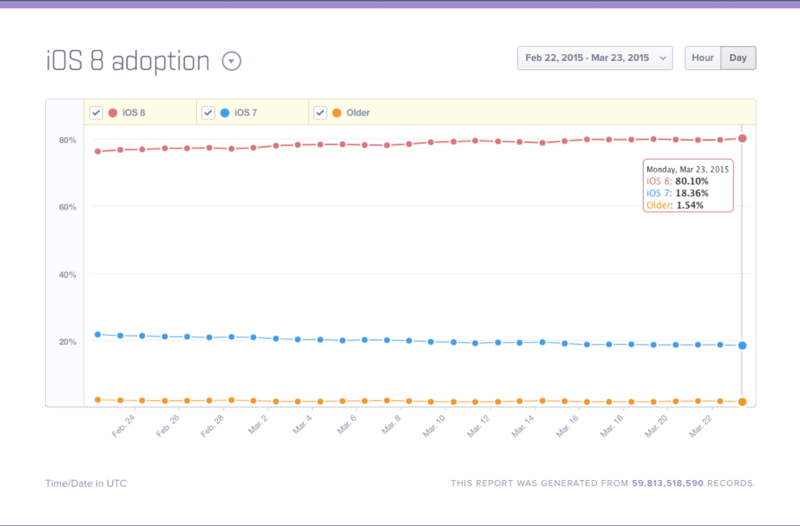 I was just looking at the iOS7 adoption rate on the Mixpanel website. When I looked last night, iOS7 stood at 63% of users, iOS6 just over 32% with older versions of iOS below 4%. 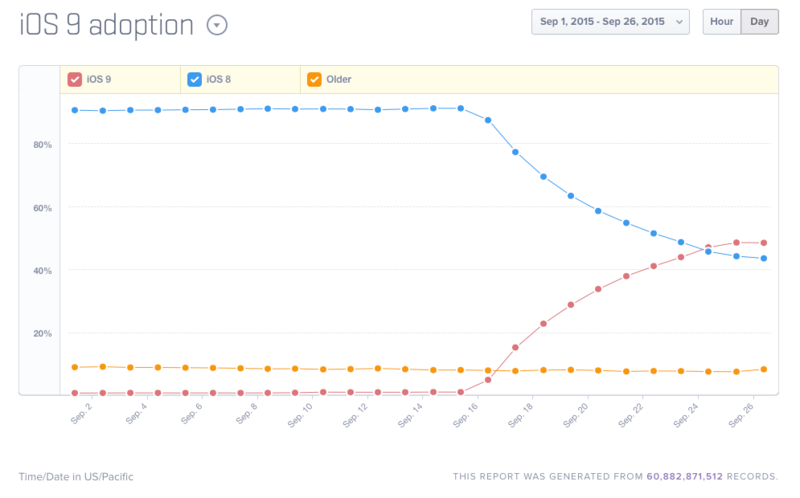 Given that iOS7 has only been available just over a week this is a remarkable adoption rate. Excellent news for all those mobile science developers since it looks like will be able to focus their efforts on the latest version of the operating system,.